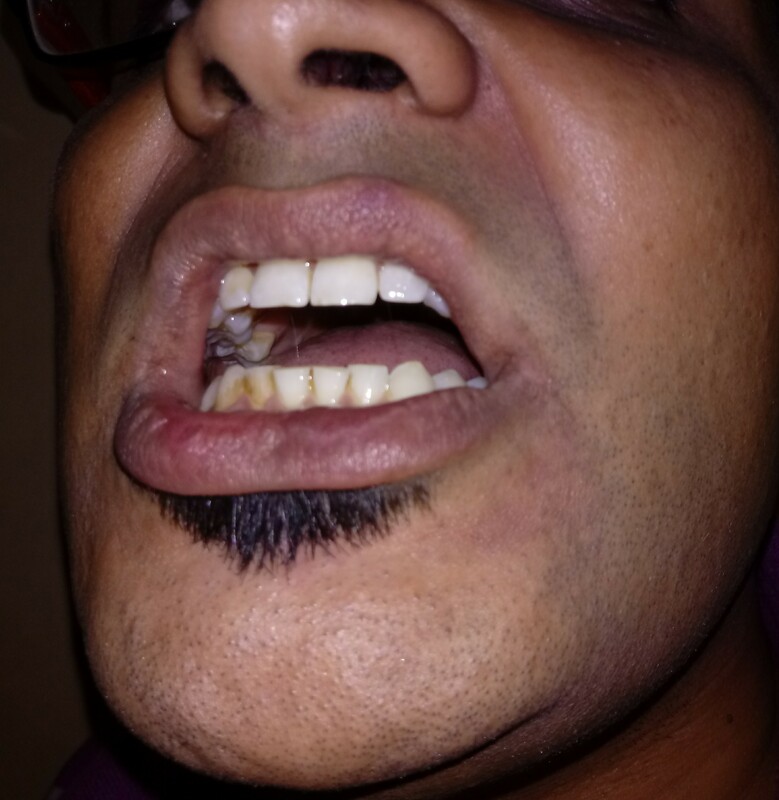 Impacted 3rd molar– Pericoronitis (Fig. 2), it is inflammation of soft tissue/gum around fully or partially impacted of the third molar. Oral Submucous fibrosis- It is a precancerous condition. 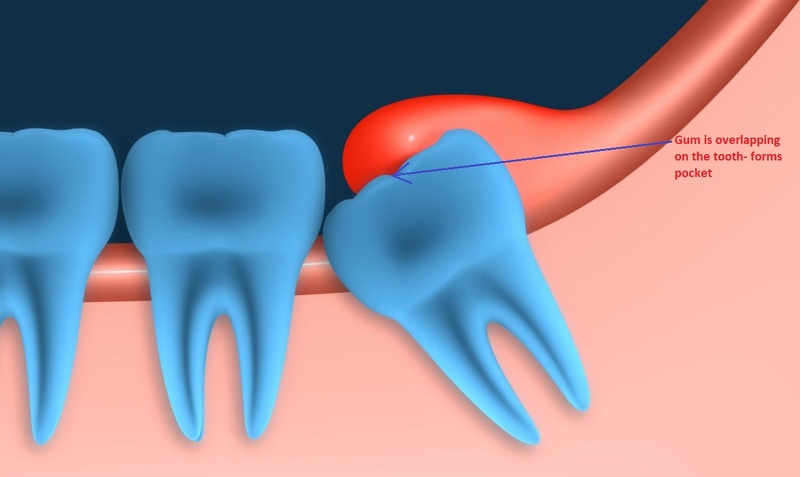 Inflammation, injury of muscles of mastication- it can be because of surgical wisdom tooth extraction, it is a temporary condition. Congenital and developmental causes etc. Oral Submucous fibrosis is a precancerous condition or premalignant condition, is a condition or lesion involving abnormal cells which are associated with an increased risk of developing into cancer. It is a morphologically altered cell which is more likely to transform into cancer than a normal cell. So if restricted mouth opening is noticed immediately visit Dentist otherwise it can easily transform cancer. 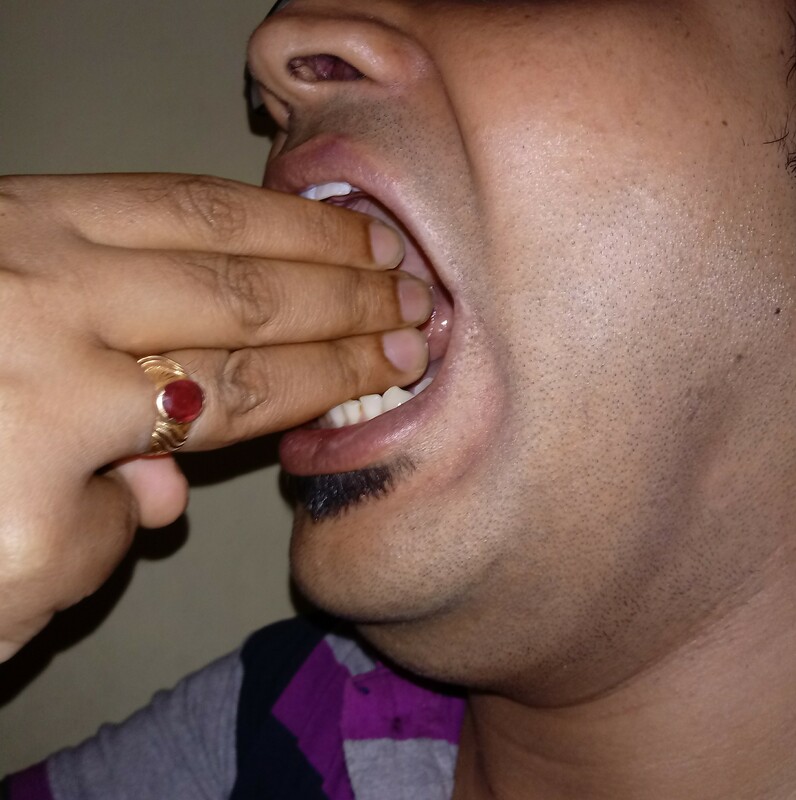 The risk factor of Oral Submucous fibrosis is tobacco & betel nut. What are the other Sign & Symptoms seen can be seen with Trismus? A “spasm” or “tight” sensation when attempting to open the mouth. Normal interincisal mouth-opening ranges from 35 to 45 mm. Males usually have slightly greater mouth opening than females. Mouth opening generally evaluated by using his/her three finger index (index, middle and ring fingers- Fig. 4), the normal mouth opening is three finger mouth opening. The normal lateral movement is 8-12 mm, and normal protrusive movement is approximately 10 mm. 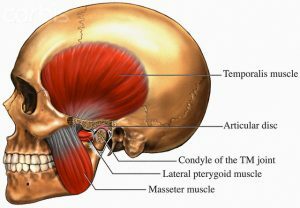 Some have distinguished mild trismus as 20–30 mm, moderate as 10–20 mm and severe as less than 10 mm. A doctor will review a patient’s lifestyle, medical history and discuss any previous surgery, fractures, or other trauma of your head, neck, or jaw. Conduct a physical examination of your jaw and neck. Treatment requires treating the underlying cause of dental treatments & physical therapy. If you are facing this problem immediately visit the Dentist & follow his/her advice. Additionally, control of symptoms with the proper painkiller, muscle relaxants, and warm compresses may be used.